Free Shipping Included! 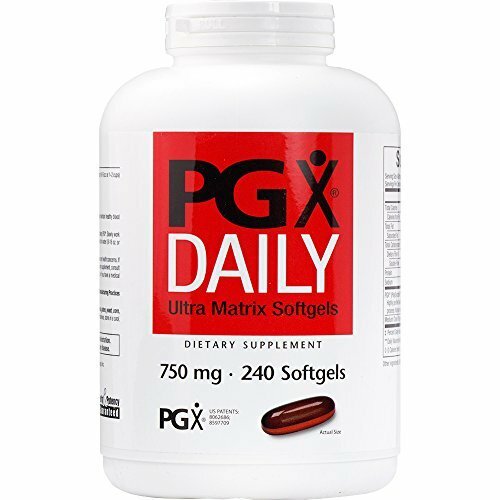 Natural Factors - PGX Daily Ultra Matrix 750mg, Daily Support for Appetite Control, 240 Soft Gels (FFP) by Natural Factors at Need to Diet. MPN: 35711-FFP. Hurry! Limited time offer. Offer valid only while supplies last. By simply taking before a meal, PGX creates and maintains a satisfying sense of fullness. It helps lower the glycemic index of your meals. By simply taking before a meal, PGX creates and maintains a satisfying sense of fullness. It helps lower the glycemic index of your meals. Incorporating PGX into your daily diet will promote satiety, curb food cravings and normalize appetite and metabolism. TAKE CONTROL: PGX Daily Ultra Matrix keeps hunger in check by supporting appetite control and healthy blood sugar levels. DIGESTION IS WORK: PGX encourages the body to slow down digestion, helping reduce the impact on blood sugar levels. SLOWER, FULLER: Prolonged digestion means longer feelings of fullness, helping you put cravings in their place. COMBINED EFFORT: Our formula both promotes slower digestion and a lower glycemic index, each of which helps control appetite.